Using in "JustHost" hosting under subdomain. Don't know what details needed to solve that ? Can you check your web server error log and abantecart log in system/logs/? But in system/logs/ there is only empty 'index.html'. In JustHost Cpanel they not have ready scripts to run, that's why I choose regular install. It can be very nice if you help me in that situation. On the second installation step (2. 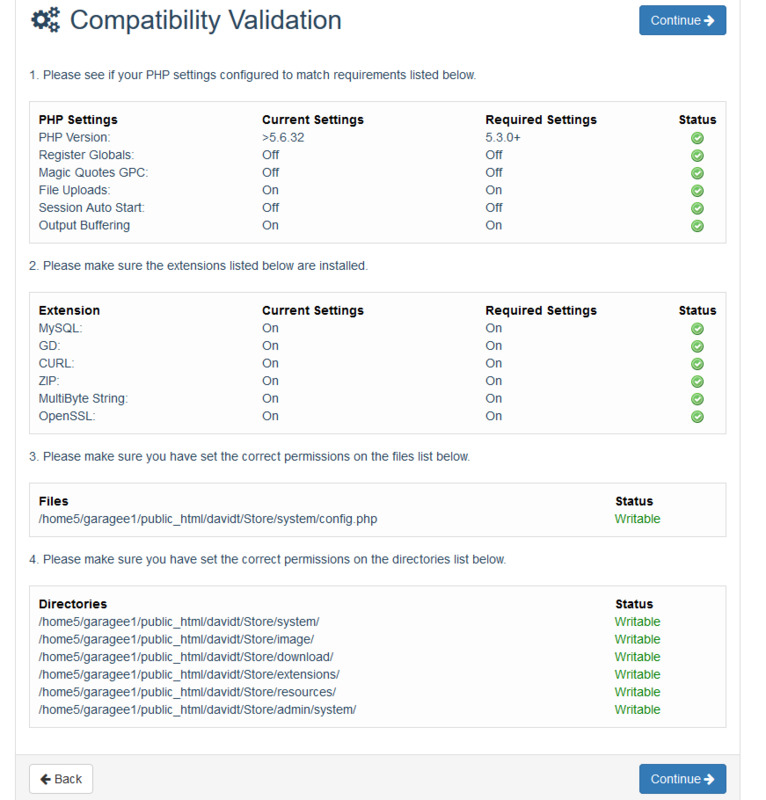 Compatibility validation) did you resolve all warnings? Whats is your PHP version and server OS (Linux, Windows....)? You should try to disable mod_security in your hosting provider CPanel and check again. I didn't have regular cPanel, So i ask live chat to do that. They do as you say, but still error with no massage. Domain is using Cloud Flare service. Just turn off TTL and enable developer mode in Caching. Thank you for reply. Cloudflare is well known "trouble maker"